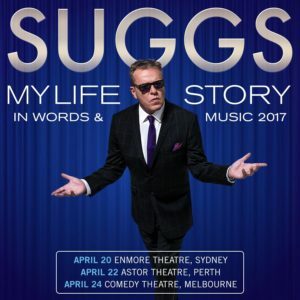 Frontman Suggs is well aware of the heritage his band created but he admits that when they began they never expected it would go for so long. Madness are one of Britain’s most successful bands of all time with now more than two dozen hits to their name at home. They still record and still love performing. The new album ‘Can’t Touch Us Now’ was recently released and reached no 5 in the UK. Suggs updates the Madness story with Paul Cashmere at Noise11.com.